Is your furnace acting up? Are you noticing strange noises, smells, or other unusual things? It may not always be obvious when your furnace isn’t working right. Changes come on gradually sometimes and you may not notice the difference. 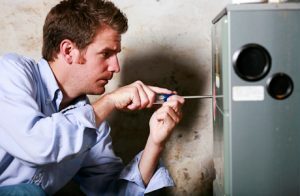 If you are wondering if your furnace may need a tune-up, look for these 5 signs you need furnace maintenance in Burlington. Strange noises. If you notice different sounds coming from your furnace, it may indicate a problem. It may be that your system is running louder than it used to. Worn or wearing out parts can cause your system to run louder. Having HVAC maintenance performed will find and repair or replace any bad parts. Rising energy bills. Does your monthly energy bill keep getting higher each month? Is your bill higher this year than it was last year? Dust, dirt, and soot build up in your furnace over time, gradually reducing its efficiency. Maintenance includes furnace cleaning that will restore energy-efficiency to your heating system. Unusual smells. Are you noticing unusual smells coming from your furnace or the vents in your home? Sometimes when you first turn on your furnace in the fall you notice a slight burning smell. This is normal and will soon dissipate. But if the burning smell doesn’t go away or gets stronger, you should turn off your furnace and call for repair. If you smell gas or propane, you should also turn off your furnace and call your HVAC service right away. No heat. This is a more obvious sign of a problem. If you aren’t getting any heat from your furnace, check your pilot light and your thermostat. If all seems well but you still have no heat, call Berico to come check it out. Carbon monoxide detector alarm goes off. Excess carbon monoxide is detected when too much soot has built up in your furnace or if there is a problem with the ventilation. Get out of the house immediately and contact Berico. If you want to save money on your energy bill each month and prevent future problems that may result in costly repairs, schedule furnace maintenance with Berico. Yearly maintenance will extend the life of your furnace and keep your home safe and healthy. For furnace maintenance in Burlington, call (336)226-9371.